As a material handling company, it is our behind-the-scenes help that strengthens a business’s operation from the inside out. Our purpose is to build a foundation of success that will not just improve production, but instill effective organization that will thrive in the years ahead. Material Handling is essential to the function of manufacturing plants, distribution warehouses, fulfillment centers and more. Without structure, storage and organization—production would not be possible. From the beginning planning stages to completed installation, Jorgenson Companies makes a complex process one that is simple and even enjoyable. Working with our experienced technicians allows contractors and company owners to be deeply involved in the process with the ability to design, engineer, and customize the layout of their storage structure. 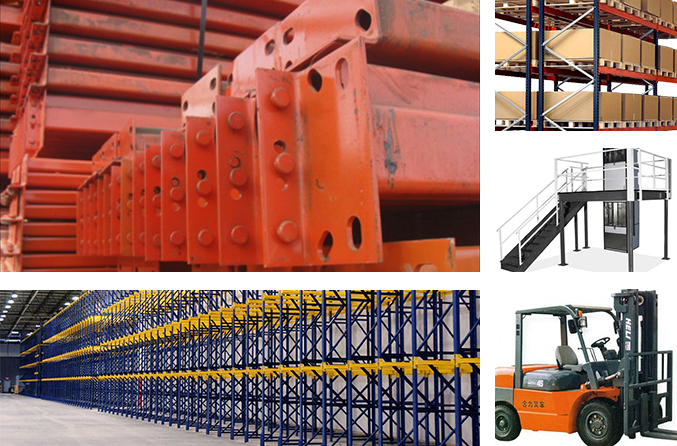 Jorgenson Companies provides a massive selection of material handling supplies; from steel and rivet rite shelving, pallet racking, mezzanines, modular cabinets, dock equipment and enclosures—you won’t need to look far to find exactly what you’re looking for. Our many satisfied customers include a lengthy list of noteworthy clients such as Rubbermaid, ATK, Hill Air Force Base, Audi, Porsche and more. Regardless of the application or size of the job, we always do our best to create precisely what the client envisions. Whether it be a simple setup for a garage or designing an extensive storage system for a multi-million dollar company, we treat each job with the same quick, attentive service. Our #1 goal is to help you maximize every inch of your personal or business space; contact us today and start increasing your storage potential!